High-performance liquid chromatography is a cost efficient and adequate way to control the quality of your synthesis results. Therefore, Eckert & Ziegler developed HPLC-Scan, an easy-to-use system for radioisotope detection of a wide range of radionuclides with HPLC. It can be used in combination with the Modular-Lab HPLC, the KNAUER Azura Analytical HPLC or other HPLC systems. The availability of various detectors makes the detection of several nuclides possible. GMP compliant, consumer friendly and flexible – these are the key-features of HPLC-Scan. 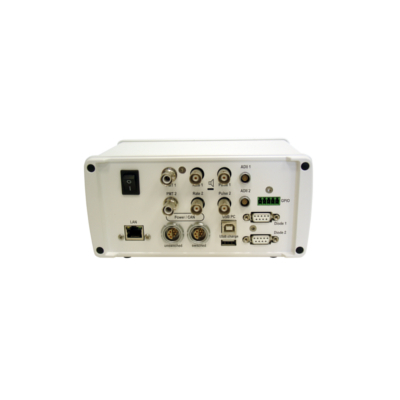 The system can be operated through an application on a hand-held or PC-based application, monitoring up to two detectors simultaneously. Several detectors are available on demand. The HPLC-Scan is a flexible and easy-to use system for radioisotope detection of a wide range of radionuclides with HPLC. It is controlled by an application on a Bluetooth enabled handheld device or through a PC-based application. 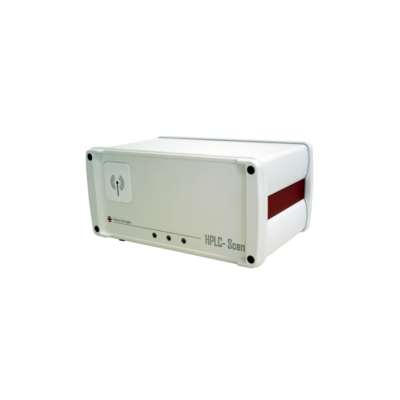 The HPLC-Scan connected with a detector can be used as a stand-alone device or for real time activity measurement in combination with any available HPLC systems (e.g. KNAUER Azura Analytical HPLC, Modular-Lab HPLC). Variable voltage output ranges (10mV – 5V) or pulse outputs (up to 500 kHz) are used to connect the HPLC-Scan to existing chromatography data systems or connect the HPLC-Scan’s digital TTL pulse signal with the RaPET Chromatography Software for maximum sensitivity, dynamic range and optional cGMP and 21 CFR Part 11 compliance. Eckert & Ziegler also provides a cost-efficient non-GMP option of this HPLC-detection system.